I always thought those embroidered towels were stooopid… but this is different! Saucony Grid Type A5s, His are Blue, Mine are Pink. Obviously. These shoes seem to get along really well! What happens when we get to the park and we both have our own workouts to take care of: his Adidas ADIOS and my Mizuno SAYONARA. LOL I noticed that triathletes prefer visors!!!! 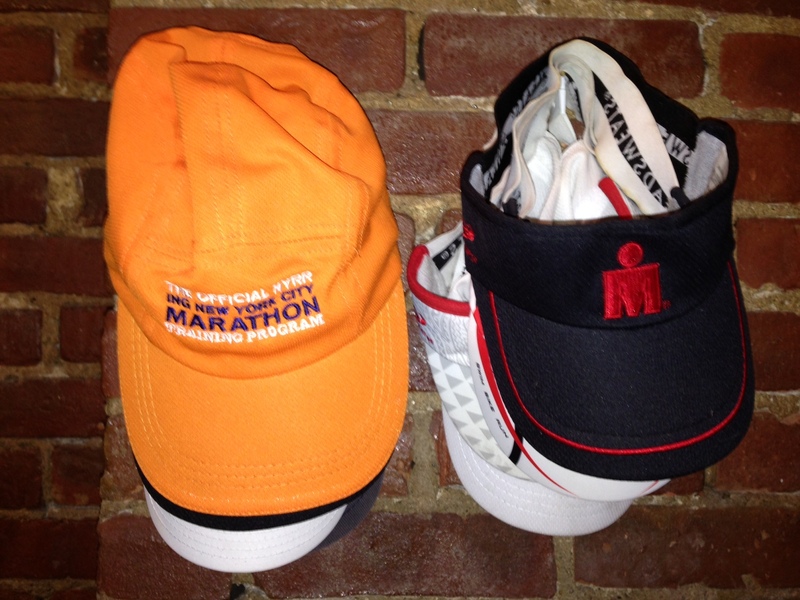 My brother-in-law is a triathlete and only wears visors not hats — I only wear hats. The shoes are cute! And sometimes it is necessary to do your own workout…. You two are like Ashton Eaton and his new wife! OMG, I think he’s SOOO cute! That’s hilarious. I run in a Newton visor everyday and I have never done a triathlon.